Taken from their forthcoming album ‘Human Heat’ which will be released in early 2019, Crossroads is a broody, menacing track revealing a darker side to Van Susans. “I want it all, and I get what I want, I’ll even sell my soul at the crossroads, made a deal with the devil, and he’s holding his own, not long now until I must go…”. 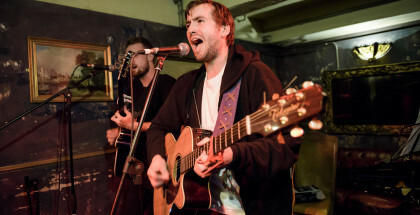 The core songwriting trio consists of frontman Olly Andrews with his rich, gravely vocals and trusty acoustic guitar. Ed Dullaway on piano and guitar (often at the same time) and classically trained Holly McLatchie, the Scottish femme fatale on violin, with Dean Gibb and Harvey Simpson completing the quintet. Their debut album ‘Paused In The Moment’ was released in September 2012 to critical acclaim. 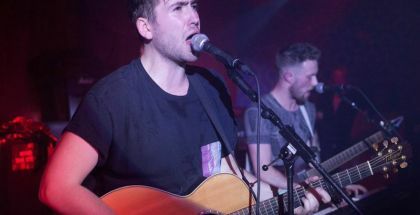 They’ve toured the UK with ‘The South’ (formerly The Beautiful South), supported Newton Faulkner, The Mystery Jets and have recently played the opening party at the O2 London for Imagine Dragons.